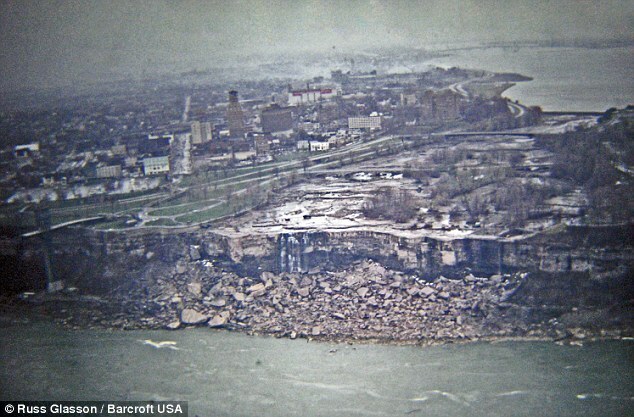 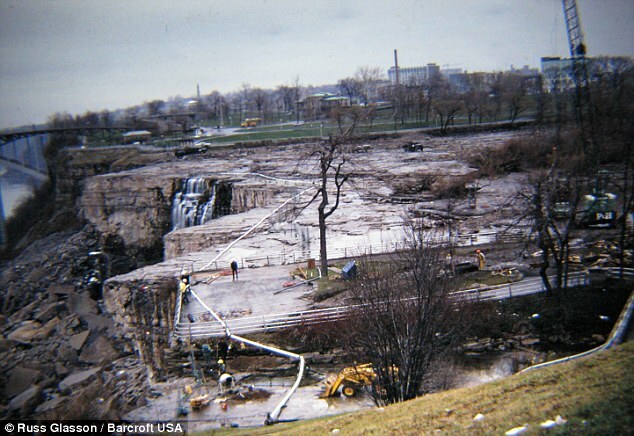 It’s taken 41 years, but a previously unseen set of photos of the mighty Niagara Falls reduced to nothing more than a barren cliff-top have finally surfaced. 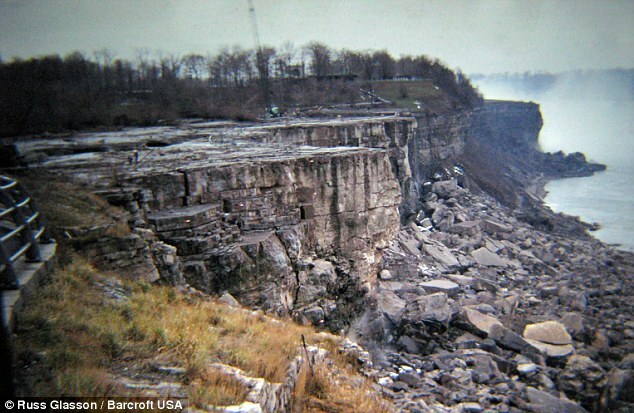 The stark images reveal North America’s iconic – and most powerful – waterfall to be almost as dry as a desert. 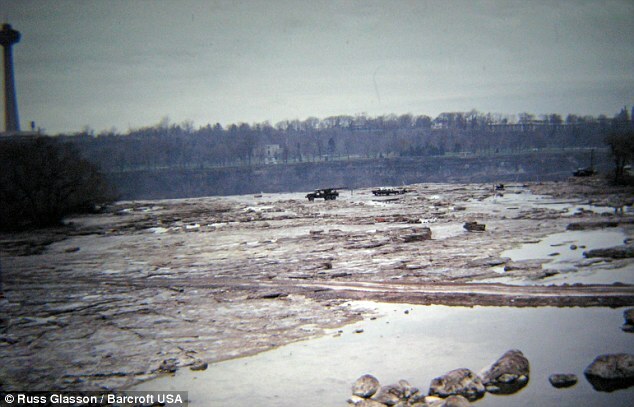 The team, made up of U.S. Army Corp of Engineers, blew up their temporary dam in November 1969 and six million cubic feet of water once again thundered over the falls’ sides every minute. 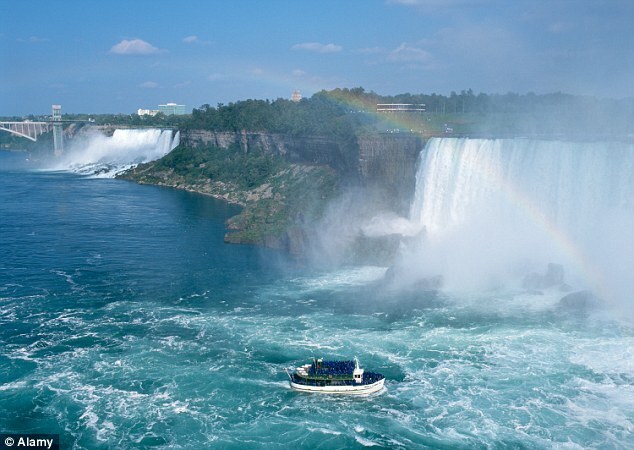 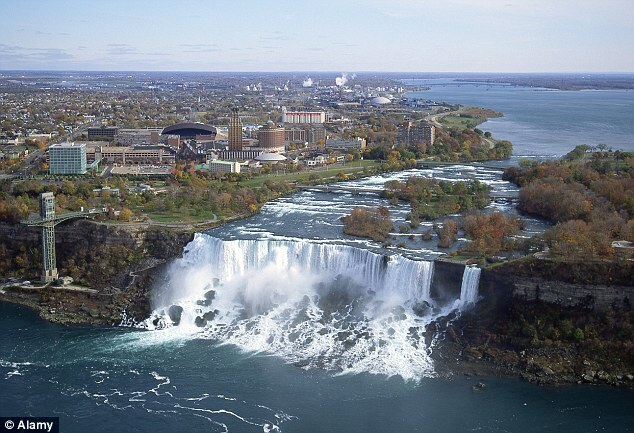 To achieve this the army had to build a 600ft dam across the Niagara River, which meant that 60,000 gallons of water that flowed ever second was diverted over the larger Horseshoe Falls which flow entirely on the Canadian side of the border. 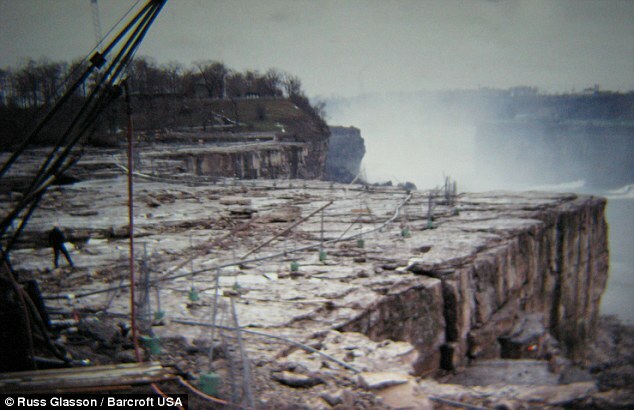 The dam itself consisted of 27,800 tons of rock, and on June 12, 1969, after flowing continuously for over 12,000 years, the American Falls stopped. 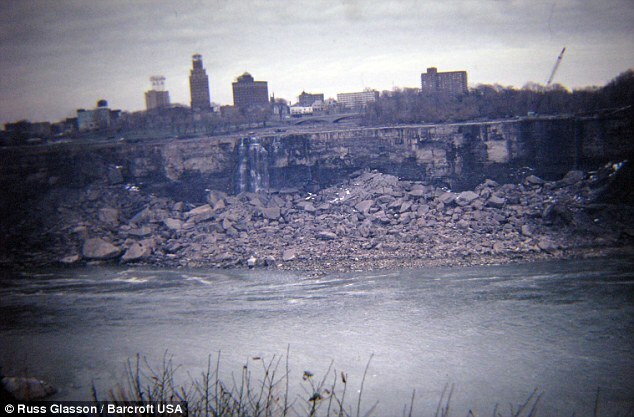 Once the engineers had removed the collected rocks from the falls base and made geological testing to make safe the rest, the falls were re-watered on November 25 in front of 2,650 onlookers.